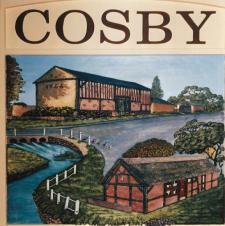 Cosby Art Group will be holding their annual Art Exhibition and sale on Saturday 13th April at Cosby Village Hall (next to the park) from 10.00 am to 4.00 pm. The exhibition will include art works in a variety of mediums including watercolour, acrylics, oils and pastels. Prices start at as little as £15. Admission is free. Leicestershire Police have a dedicated online resource for reporting incidents. Tenders for the grounds maintenance contract for the Parish of Cosby are invited. All enquiries and tender submissions relating to the contract requirements and expectations should be directed to Les Phillimore, Clerk to Cosby Parish Council. A temporary restriction of No Waiting And No Loading At Any Time is required to Countesthorpe Road to its junction with Tudor Drive on 24 January 2019 for a period of 1 day.